Dr. Nora Altier, IAPPS Regional Coordinator for South America, was awarded the 2017 Distinguished Alumnus Award from the Department of Plant Pathology, University of Minnesota. The award is to recognize alumni who have achieved distinction in their profession and who have also made significant contributions to the welfare of the Department of Plant Pathology at the University of Minnesota. As Senior Researcher at the Instituto Nacional de Investigación Agropecuaria (INIA) Uruguay, Dr. Altier has currently two main responsibilities, a 50% appointment as the Bioproduction Research Program Leader, and a 50% appointment as the Training and Development Program Leader of the Research Directorate. She has also an associate faculty appointment at the Graduate School of the College of Agriculture, University of the Republic. Dr. Altier’s research is focused on developing bio-protection programs to minimize the impact of diseases and pests on forages, field and horticultural crops, and forest ecosystems and provide professional development opportunities for graduate students at the MSc and PhD levels. Her group promotes network platforms using lab facilities in biotechnology, molecular biology, soil microbiology, applied entomology and plant pathology for developing biopesticide and biofertilizer microbial products. Since 2016, she leads a T&D program which aims to provide a variety of learning opportunities for researchers that fosters career enhancement, leadership, and professional development. In a joint effort with the University of the Republic, INIA has accomplished a fellowship program for graduate students and postdoctoral positions, offering opportunities for Uruguayan and international citizens. On behalf of the IAPPS Governing Board and the entire IAPPS family, I would like to congratulate Nora for this achievement. The invasive tomato leafminer is destroying crops across Europe and West and Central Africa. Photo by Ana Keliikuli. Across the world, the tomato leafminer is wreaking havoc on agricultural producers. The relentless march of these pests inspired a team of Virginia Tech researchers to apply new methods of modeling and simulation previously used in infectious disease research to halt their spread. A new USAID grant will help them do just that. The tomato leafminer, Tuta absoluta, is an innocuous-looking moth, easily hidden by the burgeoning foliage of young tomato plants. But once the eggs of the moth hatch, the larvae tunnel through the plants’ leaves, quickly giving a once green, productive field a scorched appearance. In Europe, West and Central Africa, and the Middle East, these pests have caused 50 percent to 100 percent crop loss since their accidental introduction to Europe in 2006. Managing these insects is not as simple as spraying insecticides. Virginia Tech’s Integrated Pest Management Innovation Lab works to provide solutions to farmers of developing nations using integrated pest management techniques that take into account the long-term health of people and ecosystems, as well as sustainable agricultural productivity. However, halting the incredibly fast spread of these pests can be very difficult. Thus, researchers are turning to computational modeling in an effort to better understand when and where the insects will appear next. Using agent-based models in a novel approach, the research team will incorporate multiple data sources and find the most significant factors in the spread of these insects. In the tomato leafminer study, the research team will view pest dynamics as an integrated biological, informational, social, and technical system consisting of several interacting models. This interaction-based approach is aimed at capturing the complexity of pest dynamics. A key feature of this approach is understanding how humans hasten the speed at which pests spread. This includes not only human mobility but also supply chain infrastructures used to move goods across continents. These systems can have unintended side effects, one of which is the spread of invasive pests. This study will lead to a much better understanding of how human systems contribute to the spread of pest infestation. “Our model will be an extremely useful tool for risk analysts, domain experts, and policy makers to develop strategies to combat these pests. Further, the methodology will not be limited to studying the tomato leafminer, but can be applied to any agricultural invasive species,” said Abjijin Adiga, research faculty member at the Biocomplexity Institute. Former Director Planning & Head Plant Pathology, CCS Haryana Agricultural University, Dr M P Srivastava has been honored with “IPS Recognition Award 2014” in recognition of his contribution to the growth of Indian Phytopathological Society (IPS), and more importantly services rendered towards society in mitigating crop losses due to plant pests. The award was given by former Director General Indian Council of Agricultural research, Dr V.L. Chopra by presenting him a shawl, Memento and Certificate of Excellence during 6th International Conference organized by Indian Phytopathological Society at its 68th Annual Convention at the NAAS Complex, New Delhi 23-27 Feb 2016. Dr Srivastava is a legend in the area of Transfer of Technology and Plant Health Clinics. During the conference, Dr Srivastava presented a paper “Overdependence on pesticides could be hazardous to man and environment.” While elaborating the advantages of pesticides in pest management, he cautioned that over-enthusiasm in pesticide application could lead to hazards; hence their misuse and abuse needs to be avoided, and instead of keeping pesticides at bay, make them as integral component of IPM modules. In epiphytotics they may provide respite. Dr Srivastava also chaired the Session on “Plant Health Clinic” with Dr Khan from NDU, USA as Co-chair and Eris Tzamos from Athens, Greece as lead speaker among others. Dr. Srivastava is credited with delivering two Keynote Address, 1) in 8th International Congress of Plant Pathology (8th IPPC2003) at Christchurch in 2003; and 2) in 10th ICPP2013 in Beijing, besides organizing an Evening Session on Plant Health Clinic (PHC) during 9th ICPP2008 in Turin, Italy. Another global giant the International Plant Protection Congress honored him to chair a Session on 1) Transfer of Technology, 2) to act as Convener of Plant Health Clinic in Urban Horticulture and 3) delivering a lecture on Plant Health Clinic. He has also been invited by several other organizations to deliver keynote addresses in Hyderabad, India in October 2014 and Las Vegas in June 2015 besides Kerala Planning Board inviting him in Feb 2013 to present a lead paper on feasibility of establishing Plant Health clinic in 12th Plan at district level in Kerala state. In recognition of his contribution, Dr Srivastava has been honored with several awards, which include Best Extension Scientist National Award 1996, Man of the Year 1998 Award from US, International Technological Achievement Award, Dr Radhakrishnan Gold Medal Award, National Pride Award- “Life-Time Achievement Award”, Dr APJ Gold Medal Award and Fellowship of National Academy of Sciences in 1988, amongst others. Dr Srivastava even after his retirement in 2002 offers online diagnosis and advisory to growers on management of plant diseases through his web portal http://www.xsgrowth.com .free of cost, as a passion to help the growers. With foreign markets requiring reductions in the use of chemicals, there is great demand for biological solutions to pest management. Zamorano University will promote the use of beneficial nematodes instead of traditional pesticides to control insect infestations in select horticultural crops. Through scale-up of their biocontrol laboratory, Zamorano will produce and sell 20 times as many doses of beneficial nematodes over the previous year. Small producers will be able to access this biocontrol at a much lower cost than a synthetic chemical product throughout the western departments of Honduras. Outcome: 9,000 hectares of smallholder land will use biological pest control. 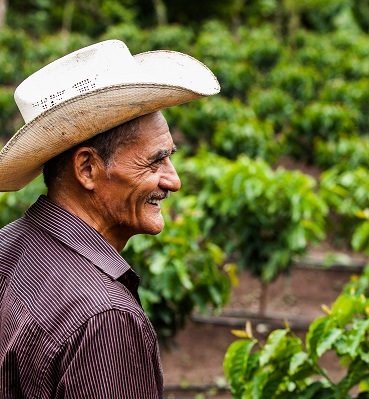 In addition, Zamorano will sell through a commercial partner to build a sustainable distribution channel in the country. Mustapha El-Bouhssini (MS ’86, PhD ’92) Aleppo, Syria, is a global authority on plant resistance to insects in grains and has worked to develop crop varieties resistant to several important arthropod pests. 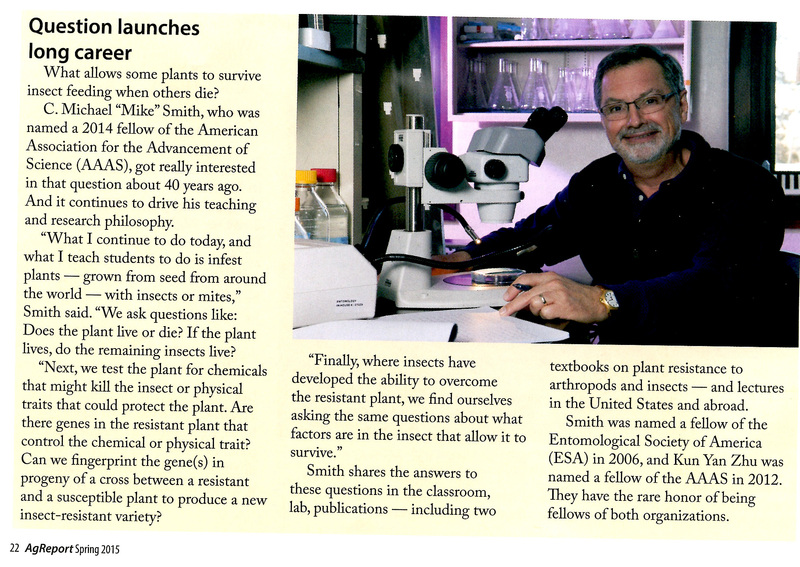 He recently received the Distinguished Scientist Award from the International Branch of the Entomological Society of America for significant contributions to entomological research. 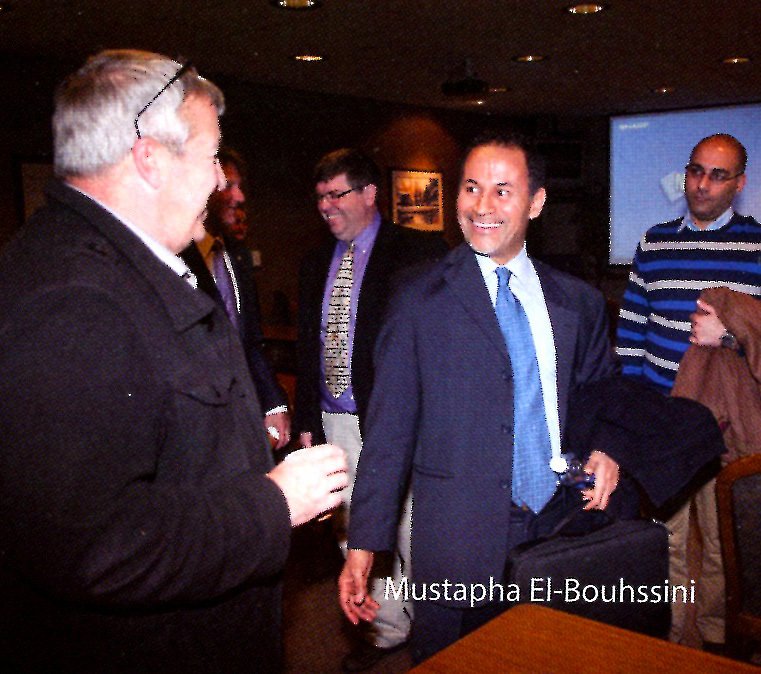 El-Bouhssini serves as an adjunct faculty member in the Department of Entomology. 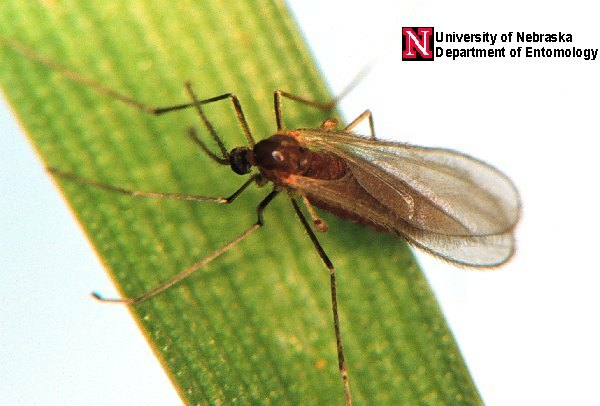 This position has helped initiate collaborative projects between K-State and ICARDA on Hessian fly genetics and resistance in barley to the Russian wheat aphid.